If you’re a gardening enthusiast, this is the perfect place for you! At the local Flower Market, which stretches along one of the beautiful canals of the city, you can easily find anything plant-related, from tulip bouquets, bonsai trees and coconut shells to Marijuana seeds and all kinds of flower bulbs. 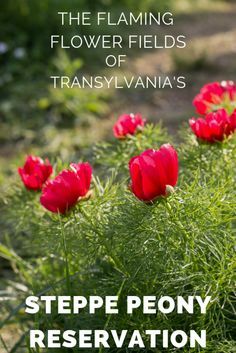 You can also encounter wooden tulips painted in all kinds of colors, as well as key chains, fridge magnets and plenty of other souvenirs, so even if you’re not that into flowers you might still want to look around these shops. We didn’t buy anything from here either, but I just love the whole atmosphere of this place, and the many-many flowers you can see, not only on display, but on the ceiling as well, serving as a décor. The Amsterdam Tulip Museum is located close to the Anne Frank House. Although it is a relatively small exhibition, it is very educational. One can learn about the origin of these lovely flowers, where their name comes from and how they got into Europe, and especially, into the Netherlands. There are some short movies illustrating how tulips are cross bred, picked, graded, and then sold. You can learn about a lot of interesting facts here, of which the Tulipmania was the biggest surprise to me, a time when tulips cost 100 times more than gold! Entrance costs 3 euros for Students and 5 euros for Adults. As one of the oldest botanical gardens in the World, De Hortus was a must-see on our list. Located close to the city center, it is the ideal place to escape from all the tourists and the bustle of the big city. Entrance is 8,5 euros for Adults, and 5 for students, which I thought was totally worth it. There was a separate house for butterflies, and they even had various cocoons displayed which was again pretty interesting. The butterflies were very friendly, they were flying all over the place, but make sure you watch your step so you don’t crush any of them. I think we must have spent about 3-4 hours in the gardens, and enjoyed every second of it. The weather could have been a bit better though, and I’m guessing right about now a lot of trees and flowers are in full bloom, which must be even more beautiful. But we recommend the Botanical Gardens any time of the year, it’s a great serene place to spend a few nice hours! If you’re interested in other activities in the city, take a look at Boat Trip on the Canals of Amsterdam and Amsterdam in Bloom. If you’re looking to escape the city for a day or two, take a look at Haarlem, the Netherlands, 7 Awesome Things to do in Muiden or The Keukenhof Experience. Gorgeous flowers and beautiful pictures. Amsterdam is still my favorite city. Such wonderful architecture! You should choose April! Although March was okay, I’ve recently seen some fresh April photos of Amsterdam and Keukenhof and they are amazing!